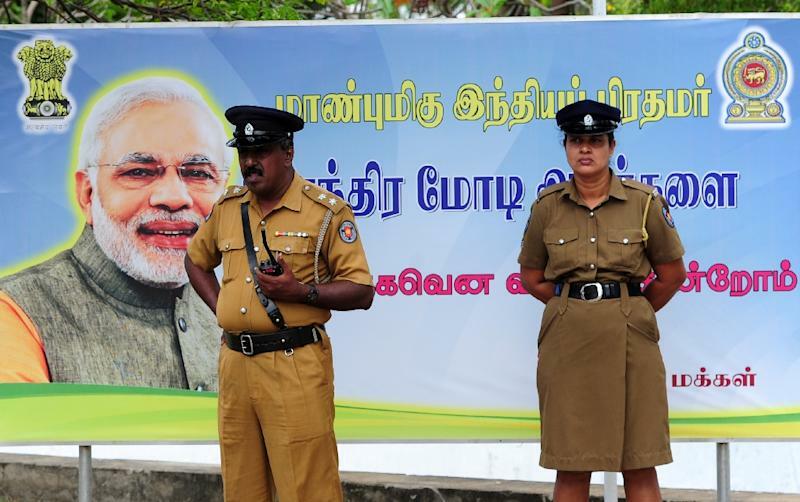 Narendra Modi visited Jaffna on Saturday, making a highly symbolic first trip by an Indian prime minister to Sri Lanka's war-ravaged northern Tamil heartland after urging greater autonomy for the island's largest minority. The Jaffna peninsula in Sri Lanka's far north was worst hit by the country's 37-year civil war that killed at least 100,000 people, mostly Tamils, and remains heavily militarised. Officially, Modi was there to launch construction of a cultural centre funded by India and formally hand over thousands of houses to families made destitute by decades of war. But his visit was also a demonstration of regional superpower India's support for Sri Lanka's Tamils, who share close cultural and religious ties with those in the southern Indian state of Tamil Nadu. On Friday he held talks with Sri Lanka's new President Maithripala Sirisena and urged the government to fully implement a 1987 constitutional provision giving Tamils greater autonomy in the majority-Sinhalese nation. 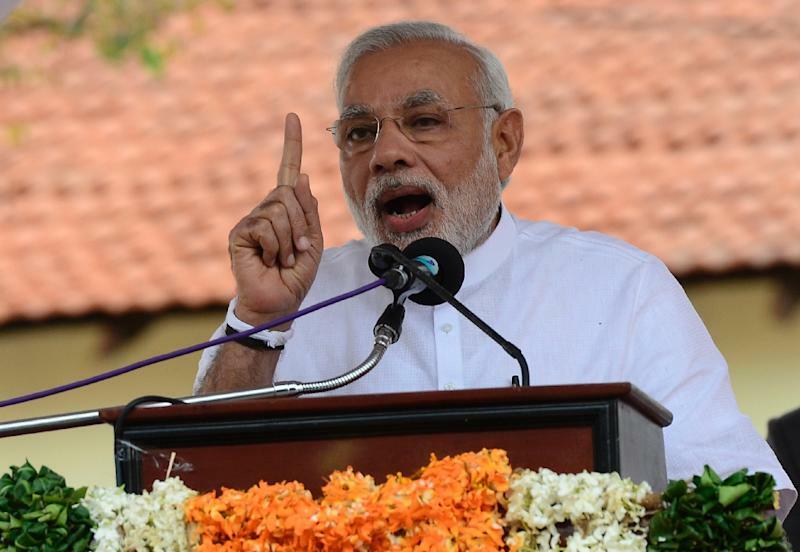 "Sri Lanka has lived through decades of tragic violence and conflict," Modi said on Friday. "You have successfully defeated terrorism and brought the conflict to an end. You now stand at a moment of historic opportunity to win the hearts and heal the wounds across all sections of society." India has long supported greater autonomy for the minority group, but Tamil leaders said Modi's comments were particularly strong. A Tamil council was elected in September 2013, five years after the war ended, but it lacks legislative authority. Jaffna's top Tamil politician, C. V. Wigneswaran asked Modi to guarantee a political settlement for Sri Lanka's Tamils as he welcomed the Indian leader to the region. "We seek justice and fair play and dignity," Wigneswaran said. Modi is only the second foreign leader to travel to Jaffna after British Prime Minister David Cameron, who travelled there during a Commonwealth summit in Colombo in November 2013. 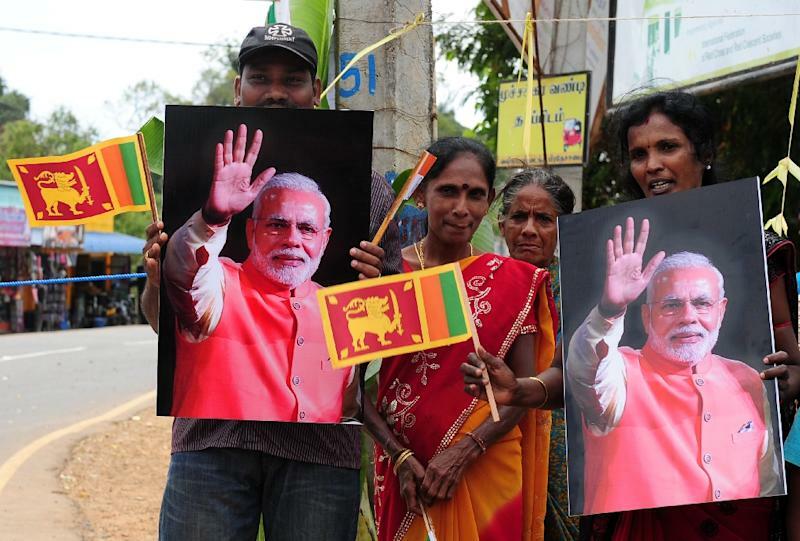 Tens of thousands of troops are still garrisoned in Jaffna despite international calls for a scaling-back of numbers, although there were no soldiers in evidence during Modi's visit. Sirisena came to power in January promising ethnic reconciliation and accountability for alleged war crimes committed by security forces under the command of former leader Mahinda Rajapakse. The United Nations has said it is encouraged by his government's commitment to ethnic reconciliation and accountability for the alleged atrocities committed in the final stages of the war that ended in May 2009. The UN Human Rights Council this year delayed releasing a report on alleged war crimes by Sri Lankan forces to give the new government time to establish a credible domestic mechanism to investigate allegations that up to 40,000 Tamil civilians were killed. But the UN has also urged the government to immediately release Tamil detainees and demilitarise former conflict areas to build confidence. Hundreds of Tamils are believed to be in custody without trial, while the military still occupies large amounts of land belonging to Tamils. Modi, who called Sri Lanka a "paradise on earth" during a banquet Sirisena hosted on Friday night, will return to Delhi on Saturday after a two-day visit to the Indian Ocean island. On Friday he pledged $1.81 billion in financial assistance to Sri Lanka, which had turned to China for economic aid under former strongman Rajapakse's decade-long rule. The Indian premier, who has made clear his ambition to reassert India's dominance in its own backyard since taking office less than a year ago, also called for greater security cooperation between Indian Ocean nations. On Saturday morning he launched a train service in another area hit by the war and worshipped at a Buddhist temple in central Sri Lanka where thousands venerate what they consider to be the world's oldest tree.